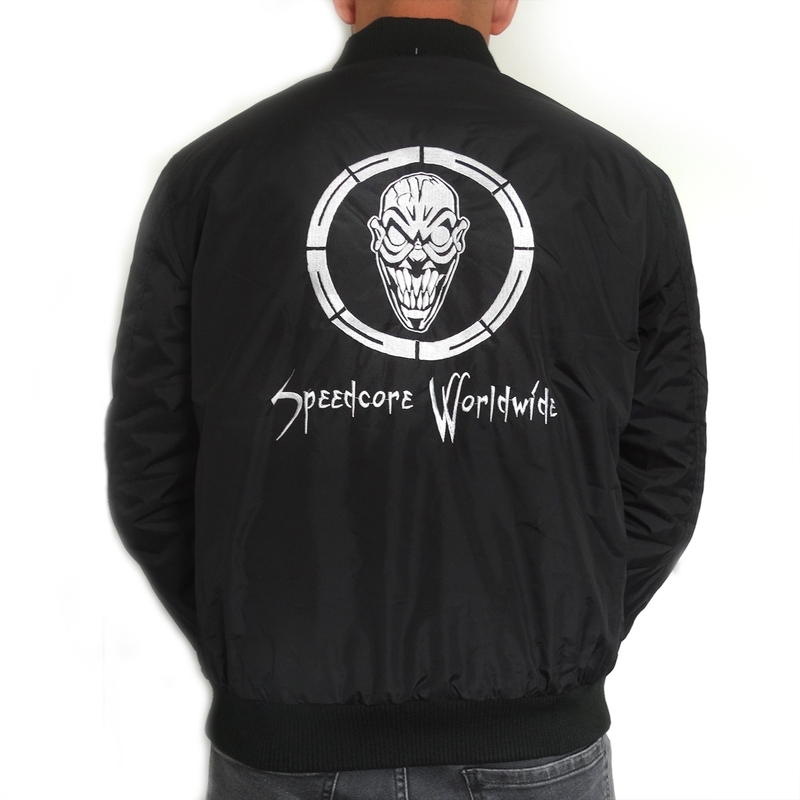 CSR Baseball Jacket 'Speedcore Worldwide' with full embroidery on front and back. Also a special badge on the rightshoulder. Produced for Rigeshop also use it as a summer bomber.